You just need to select how many tickets you want to buy. Our computerized system will automatically select the expected results of soccer match. There are three types of match result:: win, lose or draw and if all the predictions match with actual result, you can win 1st prize which is upto 600 million Yen including carry over. BIG lottery is easy to buy and no need to understand detail about soccer. Plus you can continue to buy this throughout the year. ※ Big not only has games for j-league but also have all other worldwide leagues. ※ In case of maintenance lottery wont be sold. 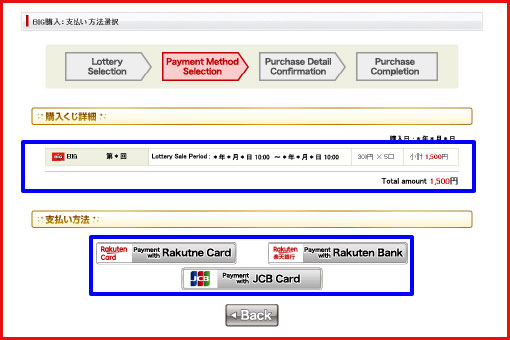 1. select the lottery type and insert the number of lotteries for your purchase. 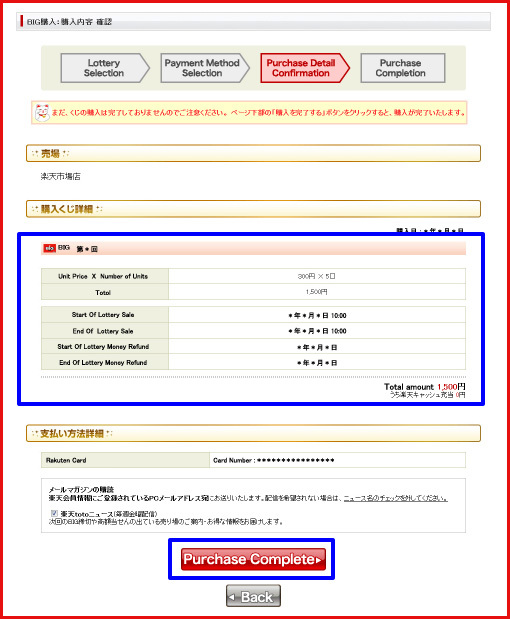 ※Check the 3 different types of lotteries here. 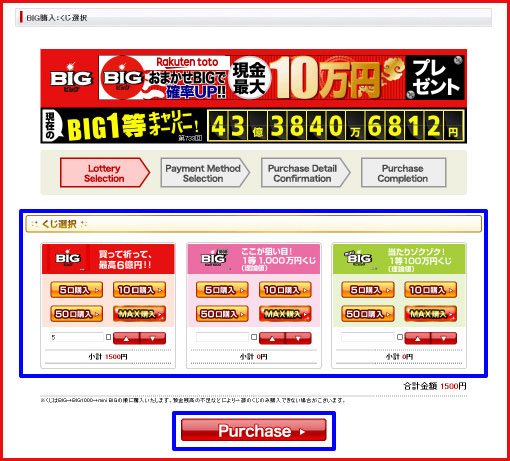 ※It is possible to purchase lotteries of multiple types at once. 1. Confirm the details of your purchase. 2. Click the payment button. Choose payment method from　Rakuten card, Rakuten Bank or JCB card. Please confirm details of your purchase and click 「この内容で購入する」button. Lottery purchase completed. 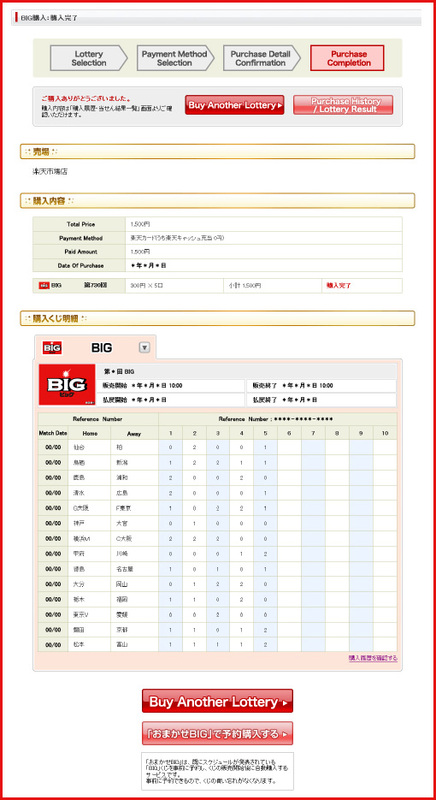 You can confirm details of lottery and lottery result from 【購入履歴・当せん結果】page.